Final Supreme Court ruling in the ongoing legal proceedings concerning the future of the Bedouin unrecognized village of Umm al-Ḥīrān was published Tuesday, May 5, 2015. According to the ruling, the village will be destroyed and a new Jewish settlement named “Hiran” will be established on top of its ruins. Represented by Adalah, the residents appealed to the Supreme Court against the Be’er Sheva District Court ruling that approved the Magistrates Court ruling that accepted the state’s demand to evict the entire village. The Supreme Court dismissed the resident’s appeal, so the ruling remains unchanged. 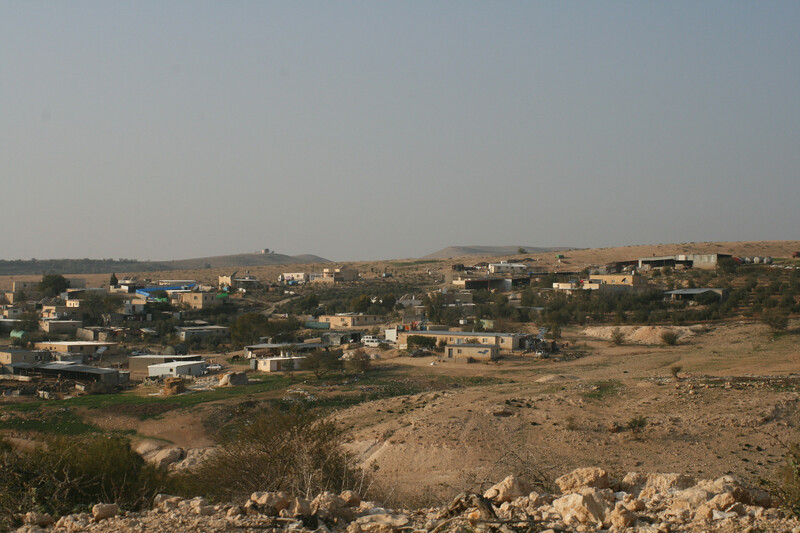 The village of Umm al-Ḥīrān, a Bedouin unrecognized village situated 8 km north east of the town of Ḥūrah, was moved to its present location in 1956 by the Israeli military regime. Its residents were relocated once before, in 1952. Yet, according to the Supreme Court, the fact that the village was relocated by state authorities does not matter, and now, after almost 60 years, the whole village will be demolished. Supreme Court Justice Elyakim Rubinstein wrote that the state is the owner of the land of Umm al-Ḥīrān and that its residents have no right in this land. For many years, the Negev Coexistence Forum, along with other NGOs, supports the ongoing struggle of Umm al-Ḥīrān. Although such devastating ruling, the struggle is not over, and the next steps to be taken are now being planned. Is Prawer Plan back on the Table? After its alleged shelving in December 2013, the Prawer Plan was mentioned a couple of times these days, as part of Benjamin Netanyahu’s coalition negotiations. According to different sources, the Prawer Plan will be back under the new right wing Israeli government, and Habayit Hayehudi (The Jewish Home), a religious right wing party, will be in charge of its implementation.